"You have all the clues, but do you know which ones point to the killer?" 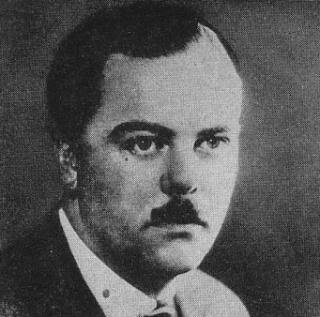 Jon L. Breen is what Ellery Queen perhaps would've described as a cat of many tales, who writes novels, short stories, pastiches, editing anthologies and held court in "The Jury Box" of Ellery Queen's Mystery Magazine as the resident reviewer for three decades – following in the footsteps of John Dickson Carr, Anthony Boucher and Allen J. Hubin. In 2011, Breen handed the judicial hammer over to Steve Steinbock in order to devote more time to writing fiction and editing collections. "The Jacket Blurbs Puzzle" was featured in the double-sized March/April 2013 issue of EQMM and is set at Worden University's Conference on Bestselling Fiction, where two of the five participants in the bestseller conference are feuding faculty members. Cosmo McDougall from the English Department wrote a handful of political suspense novels and a dash of light verses, which are sprinkled through out the story. And not without a reason. In the other corner we have a physics professor, Amos Bosworth, who has a technically accurate techno-thriller from the Tom Clancy knock-off line to his writing credits. Bosworth has requested a cover blurb for his novel from McDougall, who hates doing them and had hidden a cutesy, if unflattering, message in the quote. McDougall wrote a cover blurb for each of the panelists, which were reproduced in the story, because they've all got a message hidden in them and this time they're subtler. But not subtle enough, apparently, when someone knifes McDougall. It takes a while to actually get to this point, but what this story is really about is decoding the hidden subtext in the blurbs – one of which contains a motive for murder. The blurbs do require you to look at it and think for a bit, but it's a solvable puzzle gracefully sidestepping the trap of resembling a maddening cipher from the Zodiac Killer. "The Parson's Nose" is Breen’s contribution to the latest double-sized issue of EQMM and makes Ellery Queen’s favored trope, that of the "Dying Message," the bone of contention in a murder trial. The Rev. Henry Anstruther of the State Street Church is seen at the opening participating in embezzling church funds, but was this the motive for the stabbing of his secretary, Ms. Bancroft, who confided before her death that she was on to something. However, did Ms. Bancroft accuse Anstruther when she drove a letter opener in the picture of the reverend – smack in the middle of his nose, to be precise. Gordon Moon represents the defense and argues against the interpretation of these last acts, even distancing himself from the trope and fiction itself, "I've seen it many times myself, but always on the pages of fiction." And "Why do you think Ms. Bancroft didn't just write down the name of the killer rather than go this esoteric route?" Quite a bit of lampshading, huh? But hey, even Perry Mason would've disowned Erle Stanley Gardner, if that got a client off the hook. Moon points out a number of possibilities, but the solution is suggested in the final lines, which keeps a lingering sense of mystery even after the story had ended. But the implication treads dangerously close to the mask-clock-teaspoon puzzle, described Henri Bencolin in The Four False Weapons (1937), where all the enigmatic clues are rendered pointless when the murder is solved by finding the killer's fingerprint on the victim's collar and I expected something more from the letter opener-picture clue – even if Moon placed the story outside of fiction. "The Jacket Blurbs Puzzle" and "The Parson's Nose" where both fun mysteries to read, but I think the former was the superior detective story and did the ending where real-life intrudes on the story book reality much, much better. "It's all in the details." Kelley Roos' Scent of Mystery (1959) is an incredibly slender, one hundred and twenty-eight page counting booklet-ish looking novella that has a unique back-story. The mystery writing husband-and-wife team of William and Aubrey Roos, writing under the joined pseudonym of "Kelley Roos," basically novelized a screenplay based on one of their own novels, Ghost of a Chance (1947), but the big screen adaptation only carried a ghost of a resemblance to the original plot. However, the most salient aspect of this story is that Scent of Mystery was one of the first (and last) experiments with Smell-O-Vision, which attempted to create a complete viewing experience by releasing timed odors into the movie theatre. I think this is why the script writer, William Rose, changed the murder from the book by electrocution on a subway track to a hit-and-run in the streets, because there's no way they would've gotten permission to have Southern barbeques in cinemas across the land. Jeff and Haila Troy were scrubbed from Scent of Mystery and the scenery has drifted from the Big Apple to Spain, where Oliver Larker is spending a well-deserved holiday when a disembodied voice from a sentry box barks a warning at him – a woman is about to be murdered who's too beautiful to die. The voice to meet him at Bar Colombo within half an hour, but there's a note waiting there with a request to go the fountain park, however, there's only a crowd there huddled over a man in the street. A victim of a hit-and-run and Larker recognizes him from the bar, but discovers no more than a nickname, Johnny Gin, to go on to find a woman marked for murder. The opening of Scent of Mystery is fairly close to Ghost of a Chance, with its mysterious warnings and deaths in traffic after following up on a note left at a bar, but if you're familiar with the source material you can recognize its skeleton structure through out the story. And in some parts, they were more obvious than in others. There's one chapter in the book that's a complete rewrite of a scene from Ghost of a Chance, in which our heroes get trapped in a house with an incredible, but short-lived, disappearance mystery ("a woman couldn't disappear into thin air from a sealed shaft of a dumb waiter... this was the twentieth century... this could not happen. "), but it was too short (one page) and too simple to tag this post as a Locked Room Mystery. If anything, Scent of Mystery is a chase-thriller with detective interruptions. There are clues and red herrings, but these are picked up as Larker scoots across the landscape in Smiley's taxi – a menace on the road who was played in the film by Peter Lorré. They find enough women who are too beautiful to be killed, many dead ends and have to dodge a few bullets in order to safe their unknown quarry. Larker and Smiley also gave the Rooses an opportunity to give some of the dialogue their famous comedic touches. 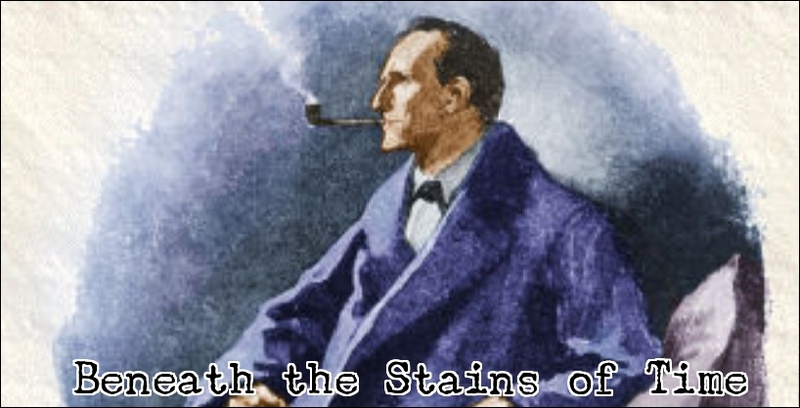 All in all, Scent of Mystery was a fast-paced and fun thriller to read, but as a detective story it's only an interesting curiosity because the clues in the story were odor-based and clearly written for Smell-O-Vision. The book also includes several black-and-white movie stills with captions like the opening of an Ellery Queen episode ("the mysterious woman on the right doesn't know it, but somebody's marked her for murder"). So definitely an item of interest for fans of Kelley Roos and movie aficionados. 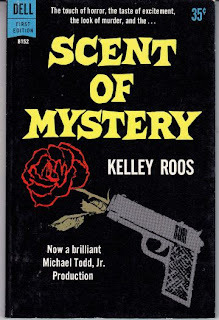 Note for the curious: As you know, Kelley Roos was the penname of William and Aubrey Roos, but the funny thing is that their surname means rose in Dutch. And who scripted the movie? William Rose! That means twice two men with pretty much the same name rewrote the same story. Why does reality never get any flack for these unbelievable coincidences? Oh, and the post title comes from a Scooby Doo episode. That was all I could think of. "Wherever trouble turns up, there am I at the bottom of it." A year before the publication of The Murder of Roger Ackroyd (1926), foreshadowing Agatha Christie's lifelong penchant for twisting the reader's expectations into a surprise solution, another mystery writer had appeared on the scene with a similar tendency – his name was Anthony Berkeley Cox. Anthony Berkeley was one of the founding members of the London-based Detection Club, who predicted and pioneered the development of the psychological crime novel as "Francis Iles." Under his own name, Berkeley published more than a dozen detective novels and short stories as influential as those by Sir Arthur Conan Doyle and G.K. Chesterton. Every time I crack open one of his books I find ideas that fueled the imagination of some of his better-known contemporaries. I recommend reading Berkeley's The Silk Stocking Murders (1928) and Christie's The ABC Murders (1936), back-to-back, to get a picture of his contribution to the genre – and keep Berkeley's book title and initials in mind while reading Christie's story, especially if you love spotting Easter Eggs. Arguably the best way to acknowledge (and credit) that you're running with an idea that was handed to you. In spite of these accolades, Berkeley faded from popular view and only reclaimed parts of his reputation when House of Stratus began to republish them a decade ago. Roger Sheringham and the Vane Mystery (1927) is the third in a series about the titular detective, who possesses the kind of enthusiasm for detective work that's normally reserved for devoted collectors, but at the same time his snobbish demeanor can make him about as unlikable as Philo Vance. On second page Sheringham spouts to his cousin Anthony, "I was trying to write down to the standard of intelligence of the ordinary Courier reader. I appear to have succeeded," in reference to a comment on an article he wrote. This is done deliberately so that you have no qualms about laughing at Sheringham when he nibs himself in the bud at the end. So before the Golden Age had even build up enough steam to plough through the 1930-and 40s, Berkeley had already deconstructed and parodied the genre with the introduction of a fallible, but keen, amateur sleuth – who sometimes only had a wrong solution to contribute (e.g. The Poisoned Chocolates Case, 1929). But he did without demolishing it. At the opening of this book, we find Roger Sheringham and Anthony Walton canceling their holiday when the Daily Courier ask their correspondent to travel down to Ludmouth Bay in Hamsphire – where the reputable Inspector Moresby was seen meandering at the scene of a suspicious death. Elise Vane was found at the bottom of a cliff, but the presence of Moresby may indicate this was not a case of accident or suicide. A.B.C. : "Totally just tied a damsel to a railroad track"
With Moresby and Sheringham on the case, the reader discovers one motif of the detective story that Berkeley was more or less faithful to: an unlikable victim with more than enough suspects and motives to fill a small bay. There's an unhappy husband and his employee who's in love with him and her cousin, Margaret Cross, who had to endure for a large inheritance and becomes Anthony's love interest, and there's a second death to consider. These snippets of information are bounced between Sheringham and Moresby, who seem to work together while clutching their cards close to their chest, like the friendly-type of "Rival Detectives" I mentioned in the comment section of my previous review. And if you're familiar with Berkeley, you probably know who'll enjoy the final chuckle, however, Sheringham's solution is very clever and one that didn't occur to me until after the second murder... but only because it's was one of those ideas that I have seen other mystery writers play around with. SPOILER (select to read): The false solution from Roger Sheringham and the Vane Mystery was the fuel for the plots of John Dickson Carr's lauded The Hollow Man (1935), Nicholas Blake's Thou Shell of Death (1936) and Edmund Crispin's Swan Song (1947). Interestingly, Blake and Crispin also adopted an unusual method for poisoning in their stories to dispose of a second victim. But having guessed (pardon my French) Sheringham's answer makes Moresby solution all the more fun. The twist in the final chapter turns the book in a sort of anti-detective story ribbing both Sheringham and readers who went along with him, but there was more than enough detective material that I couldn't care less about the final twist. As a matter of fact, I began to love it after Moresby's closing statement to Sheringham (and the reader): "do you know what's the matter with you, sir," he said kindly, "you've been reading too many of those detective stories." Should I plead the fifth or ask for an exact definition of too many detective stories and scrabble my way out of it? One point that irked me a bit about Moresby's explanation (SPOILERS, select to read): why did Moresby say he did not have anything to go to court with when there was a clear motive, opportunity and evidence (i.e. botton clasped in the dead hand of Mrs. Vane)? 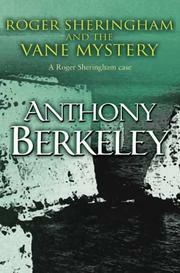 Roger Sheringham and the Vane Mystery is not the best of Berkeley's detective novels, but still an enjoyable and enthusiastic piece of work with perhaps his first grand performance with the multiple solution devices – and a better attempt at the "human detective" than The Layton Court Mystery (1925). If you want to read Anthony Berkeley at his best, I recommend Jumping Jenny (1933), Trial and Error (1937) and the round-robin novel The Floating Admiral (1931), which left Berkeley with the task to explain everything the other members of The Detection Club had chucked into the plot. It takes a special kind of talent to make it look as if they planned that outcome from the beginning. "You picked a nice sort of playmate." Hooper "Hoop" Talioferro (pronounced Tolliver) is running an art gallery in Paris after having spent time in the Belgium Congo, where he provided assistance to a medical missionary in the clearing of several crimes (c.f. The Devil in the Bush, 1945), but the delivery of a two letters will be giving him a taste of the Gallic criminal. Matthew Head's Murder at the Flea Club (1955) begins with Hoop honoring a request from the first letter to drop in on a friend of an old friend, Audrey Bellen, who does not leave a favorably impression him, however, promises to take her daughter Marie Louise out for the evening. The second letter came from Dr. Mary Finney, medical missionary and amateur snoop, informing him that she's briefly in Paris as a guest of the Sûreté. They make an appointment for the following day at The Flea Club, a semi-public nightclub of which Hoop is a member with access to the cellar room where an archeologist, Professor Johnson, digs for the foundation of Ste. Geneviève de Fli – remnants of a chapel dating back to the 9th century. The entire floor is being dug up, section by section, which gives a nice touch to a night-club cellar filled with an odd mixture of guests ranging from gigolos to expatriates, but one of the excavation pits contains something that it shouldn't: the night-club singer, "Nicole," half buried under sand with her head caved in. Murder at the Flea Club is not a linear narrative. Instead of telling the events from start to finish, Hoop feds the reader and Mary Finney bits and pieces until the final portion of the story. There's an Had-I-But-Known'ish tone in the opening as Hoop tells that both letters will involve him in a murder at the club and its solution with everything else largely consisting of filling up the gap of events leading up the murder, connecting the Bellen's with the denizens of the Fleas and fleshing out the characters – whom all seem to have one-on-one alibis. So yes. This is a very character-driven mystery novel and as you can probably deduce from this over written, but already dwindling, review, is that they usually leave me with less to say than the ones that are a bit heavier on the plot. And if the first mention of the victim's dying message is made after the 100-page mark, characterization might have gotten in the way of the plot just a little bit. Having said that, I loved how Head wrapped-up the story. Mary Finney has planned a dinner with all of the suspects for a classic dénouement, but Monsieur Duplin is sure they already know the identity of Nicole's killer and prevented anyone from attending – in order to compare notes with Finney and test her acumen. This is why I think Rival Detectives are grossly underrated! They're great vehicles to deliver false solutions, twists and surprises – even in a minor way like here. All in all, not a bad read that tried to retain a good plot in the face of heavy characterization, and there's a nice little twist given in the explanation, but it were mainly the opening and closing chapters that did it for me. Finally, to pad out this post even further, allow me to direct your attention to Ho-Ling's (English) review of a Japanese edition of Anthony Berkeley's The Poisoned Chocolates Case (1928) with gorgeous, retro-style cover art. "I've always wanted to make the world a more rational place. I'm still working on it." It's impossible to pinpoint how many detective stories and novels were written since Edgar Allan Poe's 1841 inaugural locked room mystery, "The Murders in the Rue Morgue," that contains an impossible crime plot, but the revised edition of Robert Adey's Locked Room Murders and Other Impossible Crimes (1991) managed to gather over two thousand titles – an impressive number, to be sure. Until you realize it was even then an incomplete, and by now outdated, list of stories originally published in English with a few foreign titles tucked away at the end. The trope still makes a regular appearance in contemporary crime fiction, but the casual mystery reader (and publishers) still appears to be incapable of identifying or differentiating it from other sub-genres. I've seen Jonathan Creek being described as a supernatural cop show, conjuring up a picture of modern day Thomas Carnacki stalking the moonlit churchyards for preternatural shadows, while Agatha Christie is dragged in by hair as the most famous practitioner of the "Locked Room Mystery" whenever a writer takes a stab at the "Closed Circle of Suspects" situation by setting their story in an isolated location. If only John Dickson Carr had written Merrivale's Christmas, the best of the Drawing Room Mysteries from the 1930s, we would now probably be looking forward to John Cleese's final performance as H.M. in a TV adaptation of The Cavalier's Cup (1953). So I'll be climbing atop my hobbyhorse in an attempt to delineate the "Locked Room Mystery," and because fans like to ride their hobbyhorse and rattle on as they pretend to be giving an actual lecture. A room with the door and windows locked and latched from the inside, even dead bolted or sporting steel shuttered or barred windows, containing a victim who clearly died at the hands of someone else – who’s not found within the confines of that space. The question that has to be answered is how the murderer escapes from the scene of the crime without resorting to cheap trickery or the supernatural. Many of Poe's successors were, retrospectively, guilty of emptying out the entire bag of cheap tricks before the end of the 19th century rolled around: horrifying mechanical contraptions, terrifying natural phenomenon, hidden passageways, unknown poisons and venomous creatures explores plucked from previously unexplored regions of the globe. L.T. Meade and Robert Eustace's A Master of Mysteries (1898) therefore feels like a goodbye to that particular era, in which a professional "Ghost Breaker," John Bell, rationalizes such peculiarities as a room that kills and a talking statue in what essentially is also one of the first collection of short impossible crime stories. The timing was also perfect for a final bow in lieu of Israel Zangwill's landmark novella, The Big Bow Mystery (1894), which moved away from murderous beasts and obscure poisons in order to play with the readers assumptions – a method adopted in Gaston Leroux's influential Le Mystère de la chambre jaune (The Mystery of the Yellow Room, 1907) and G.K. Chesterton's compendium of Golden Age plots The Innocence of Father Brown (1910). "A murder case is simply a jigsaw puzzle, a lot of things to be put together. If you have the right solution, all the parts fits into the picture. If some of the parts don't seem to fit, it's a pretty good indication you haven't the right solution." "As for Richard Curtis's stories for EQMM in the 1970s, the first one (not an Odds Bodkins) from the November 1961 issue has a bio that makes clear this is the young literary agent, just starting his writing career. Thus, I doubt they'd have another writer using the same byline after that, leaving only the possibility that Deming became a ghost for Curtis, which seems highly unlikely, besides which there's no evidence for it." So there you have it. In a age where High-Definition snapshots of the surface of Mars can be conjured up with a simple click or a swipe the internet is still about as useful as a self-inflicted gunshot wound, if you happen to be looking around for scraps of background information on a little-known magazine writer from the 70s. Welcome to the niche corner! Oh, well, I want to thank Jon Breen for rectifying this mistake and I'll correct my post in regards to that short story as soon as possible with a link back to this explanation. The Case of the Lonely Heiress opens with a visit from Robert Caddo, driving force behind an irregular published pamphlet, circulated for twenty-five cents per copy under the title Lonely Hearts Are Calling, who has come under scrutiny after accusations of placing false ads to boost sales. One ad in particular stands out, "Miss Box 96," a self-described heiress and that's not the type of person that usually subscribes to these kinds of services – especially in those days. Perry Mason and Della Street begin to compose love letters to the mysterious heiress, while their private-eye chum Paul Drake provides a detective to play the part of a lonely country boy looking for companionship in the big city. This is a Gardner novel, however, and if you think this was going to be story about Mason and Della Street stalking a "Black Widow" in the Lonely Heart columns of an obscure city rag, while trying to unsnarl her web of lies – than you're dead wrong. Mason does bait a trap for Marilyn Marlow, but she ends up being his client after explaining her reasons involving a disputed will that made her an heiress. I have to point out here that this portion of the story describes something that’s known today as Cat Fishing: "It's quite the thing for pranksters to buy copies of the magazine, write that they're lonely widowers with large fortunes and good automobiles and things of that sort, and build up a correspondence with some of these women, simply for the purpose of a practical joke." If this line is actually an unedifying tidbit of digested history, instead of something Gardner made up to flesh out the story, there's a chance that there are still old prank letters out there fooling people who read them into thinking they stumbled to their grandmothers embarassing secret ("Mom mentioned Granma had a pep in her step a year after Granpa died.") It's also an iron-glad argument that computers surpassed us the moment we plugged the cord of the first prototype into a wall socket. Anyway, the second half is a cat-and-mouse game between Mason and Lieutenant Tragg of Homicide, who becomes involved after one of the witnesses to the contested will is stabbed to death, and fancies Marlow as his #1 suspect – which Mason has no shortage of objections to! Mason and Tragg try to score one of each other until they appear in court and while Mason sometimes (read: standard practice) takes liberties with the law, it's the Tragg who goes into the deep end by participating in "third-degreeing" Marlow with a nasty play on the good cop/bad cop routine. I think this is what makes Mason's behavior much more acceptable to readers than Tragg's, because the former doesn't pretend to be charming, straight-laced cop sneakily measuring someone's neck for a noose – based on an incorrect interpretation of the evidence. 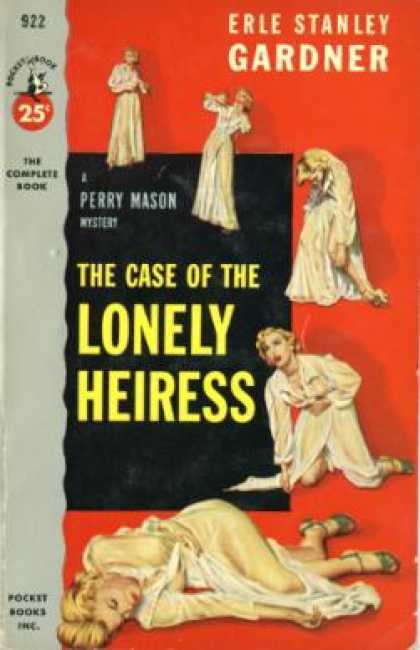 In summation, The Case of the Lonely Heiress was as readable and well plotted as the other Perry Mason cases previously discussed on here, which were not landmark works in the genre, but I never put one back on the shelf feeling disappointed or cheated. They are what they profess to be: detective stories. On a final note: I picked this opening quote from the end of the book because it happened to be so similar to something Mason said in the previous story I read, and used it to start of that review with. "One's plots are necessarily improbable, but I believe in making sure that they are not impossible." By the time 1967 came rolling around, the roaring Golden Age of Detective Fiction had calmed down, but many of the stories published in Ellery Queen's Mystery Magazine were like glowing embers that kept flicking in its hearth. The Giant of Short Stories, Edward D. Hoch, penned nearly a thousand of them and during the year mentioned he wrote three that represented the basic approaches to plotting a mystery – a Who, How-and Whydunit and were reprinted together in the January, 1969 issue of EQMM. You'll be surprise to find out which of the three I liked the most, but then again, that just might have given it away. "Murder Offstage" is a Whodunit in the guise of an inverted detective story as the cast/crew of the critically acclaimed Morning Five are plotting the murder of Leonardo Flood, who has been blackmailing them with a collection of negatives of embarrassing photographs. They hatch a plan, however, the person who was supposed to snuff Flood only dims his lights for a few moments and turns up empty handed after searching the apartment top-to-bottom, but one of them went back to finish the job. But who? The subplot of a missing, hard-to-find object was a nice nod to Ellery Queen and gave the story shades of the locked room mystery, but I think Hoch wanted to be sure we sympathized with the murderer by going for a darker ending than you would expect from a story about a murdered blackmailer. If you bump off a blackmailer in a GAD story, a bored police constable will, for the briefest of moments, allow himself to be distracted from his paperwork to caution you not to clog the Thames with it before waving you away. "Every Fifth Man" is a hardboiled narrative set in Constanera, a war torn country of cities and jungle villages, where our nameless narrator goes back to fight the government of General Diam, but they're captured and doomed to be executed. A custom of the country for defeated foes is to send down the following order: Kill every fifth man and release the others. This is what the twenty-three captured men have to look forward to, but the devious General Diam has send down five identical execution orders and what ensues is a mathematical battle-of-wits to save as many lives from the firing squad as possible. And than something goes horribly wrong that raises the question how the narrator cheated the figurative hangman. But the coup de grâce was finding out how in your face the two main clues were and with one of those solutions that explains everything in the very last sentence of the story. This is exactly why Hoch will always be a staple of mystery anthologies. Note for the curious: you can find these hardboiled puzzles in the series Spiral: The Bonds of Reasoning, in which recursive reasoning sessions are fought out at gunpoint and bomb races. This fusion of extremely hardboiled situations while maintaining a firm grip on logic can work, that is, if someone who can also plot is writing it. Finally, we come to "The Nile Cat," in which Professor Patrick J. Boutan of Middle Eastern Civilizations has just finished smashing in the skull of Henry Yardley, a graduate student, in the Egyptian Room of the University Museum. Lt. Fritz is baffled when he learns that the professor had no idea who the man he just murdered in cold blood was and therefore none of the conventional motives apply to him – like money, love or revenge. 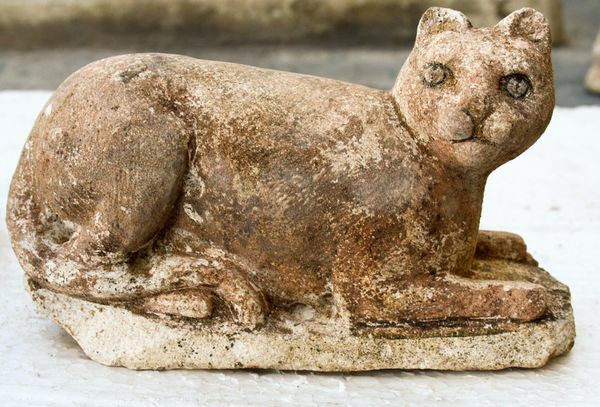 Professor Boutan begins to explain himself with a story involving one of the artifacts in the room, a statue of a cat representing Bastet, Godess of Joy, recovered in 1922 from the banks of the Nile, and even when only the question of the why has to be answered, Hoch manages to produce something as satisfying as what you'd expect from the best of his who-and howdunits. This ingenious motive was retooled for a TV mystery series from the 1970s, but I can't be more precise than that without giving away Hoch's, because the motive was the only remarkable part about that particular episode. Hold on! I've found one more story of the interest that I can only describe as the smoking gun proving that the ghost of Harry Stephen Keeler has been playing pranks on the members of the mystery blogosphere instead of haunting pubs and hotels to draw in guests like a normal ghost. So if you were one of those doubters who brushed everything away as coincidences, because it's something to be expected within a group of people who read the same kind of books, you can chew on this "coincidence" as an appetizer for crow pie. 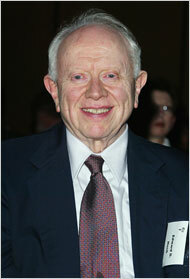 Richard Curtis wrote a little-known story entitled "Odds Bodkins and the Locked Room Caper." Godfrey "Odds" Bodkins is the proprietor of a betting parlor off Curzon Street and has a lavishly furnished, soundproof and sealed Horse Room where rich clients can spend their money away from the common people in an environment eliminating any way of information leaking in from the outside. Well, someone has been laboring on an impressive winning streak at the betting table and Bodkins suspect he's being filched – and draws in the help of his friend Tim Tubb. If you just had a sense of déjà-vu, don't worry, it's not a glitch in the matrix, because you can find the premise (and solution) in my barely two month old post "Out of the Tidy, Clipped Maze of Fiction: More Real-Life Locked Room Mysteries." Luckily, this caper is not just a fictionalized account and Curtis extracts another solution from the actual explanation, which is given halfway through the story, for a fantastic second act with conmen trying to get one over each other – colliding into a genuine treat for a fan of both impossible crimes and shows like Leverage. Of course, this leaves us with the unsettling, but all telling, question of how likely it's that I found an obscure story in a detective magazine from the sixties that just so happens to be based on a actual locked room mystery that I wrote about only two months ago! You'll probably retort that I read a sizable amount of them/post a lot on the subject and therefore it's not surprising at all that it happened to me, but insist on besmirching the name of a man dead for more than half century in a doomed attempt to translate some of that Golden Age atmosphere to morgue-like sterility of the internet. And that's true, unromantic of you to think so, but absolutely true. "That was then, this is now, and nobody knows what tomorrow will be. That's the way things are, whether we like it or not." After tailing John Quincannon and Sabina Carpenter through San Francisco of the late 1800s, I wanted to return to The Nameless Detective, operating in the same area as his professional ascendants, but the places depicted in Bill Pronzini's Breakdown (1991) continue to teem with crime over a century later. Nameless is on an undercover assignment that requires him to mingle with the patrons of a neighborhood watering hole, The Hideaway, which is a safe port in the storm of everyday life for an eccentric collection of regulars – tolerating intruders without encouraging them. The regulars are societies cast-aways passing the time with playing chess, telling jokes and stories or simply enjoying a drink (i.e. social solitude). One of the patrons, Nick Pendarves, witnessed Thomas Lujack driving a car over one of his business associates and the defense has hired Nameless to keep tabs on him. The close-knit community that makes up The Hideaway and the ambience of the tavern is starting to have its effect on Nameless, who's still coming to terms with a trauma sustained in a previous outing and coping with a new strain on his relationship with Kerry Wade, until one evening, Pendarves storms into the place claiming that Lujack tried to run him over – swearing he'll deal with Lujack himself. More problems on the horizon for Nameless as the case starts gaining momentum. The investigation ties Lujack's cardboard factory with the employment of illegal immigrants, which, in turn, is tied to human trafficking and key figures that simply decide to disappear. One of them is even murdered in Pendarves garage, gassed to death, but the man himself is nowhere to be found and more bodies turn up – with one of them almost being Nameless himself. There are, of course, the personal storylines plaited through the plot of Breakdown, which consists of changes in personality and anxiety attacks stemming from Nameless' ordeal in Shackles (1988) and Kerry's mother is mentally deteriorating and badly needs looking after. And you know Nameless is still rattled when he talks you through 230 pages without a single mention of his pulp collection! Breakdown is another compelling chapter in the ongoing biography of a private-eye, but the slow moving opening chapters and setting had me believed that Pronzini was making an attempt at modernizing and transplanting the Euro-continental whodunit to the US. Pronzini varies the style of the series to keep it fresh and interesting to write, which made it a possibility, and how can you not imagine a pipe-smoking Frenchman listing to the name Jules Maigret or the dour looking Oberinspektor Derrick (*) of the Munich police (hey, the place is called The Hideaway!) sitting at the bar with the same purpose as Nameless? It had that kind of atmosphere and assumed that was the direction the story was heading, before turning into a straight up crime novel and I can't help but feel out of my debt when reviewing them – 'cause they tend to end up as brief plot outlines with some added commentary (not always the case with the more whodunit-oriented stories). But I can't help that I like what I like, and with that being said, I like Nameless and it's never a chore to tag along with him on a case.